In a way, I feel very sorry for Brett Kavanaugh right now. This Senate confirmation process is going to be like going to a proctologist every single day for weeks on end. Investigators are going to go over everything that he has ever done with a fine-toothed comb, and anything that is even remotely scandalous is going to brought out for the entire world to see. In fact, the Washington Post is already running with a story about Kavanaugh’s past debts. Federal employees such as Kavanaugh have financial disclosure forms that they are required to file, and although those forms do not reveal everything, they reveal enough to potentially get Kavanaugh into trouble. Brett Kavanaugh’s financial disclosure forms that are available for review show he reported up to $200,000 in debt he piled up on three credit cards — Chase, Bank of America and USAA — and a loan by the year 2016. In reality, the debt total may have been much lower than $200,000. On the federal disclosure form, all four of the debts fell into the “$15,000 to $50,000” category. So ultimately the total amount of the debt could have been much closer to $60,000. But that is still a tremendous amount of debt for “baseball tickets” and “home improvements”. Season tickets to the Nationals, who play at Nationals Stadium in Washington DC, can cost up to $6,000 for all 81 home games – depending on the location of the seat. Kavanaugh’s love for baseball is well known. His associates both in the legal sector and beyond describe him as a blue-collar, “Bud Light kind of guy” who enjoys the ballgames, and New York Yankees general manager Brian Cashman was among the 150 high school classmates who signed a letter in support of him. Today, all of Kavanaugh’s old debts are paid off, but he is not a wealthy man either. According to Kavanaugh’s most recent financial disclosure form, he has less than $70,000 in assets. With the exception of Clarence Thomas and Anthony Kennedy, all nine current justices on the Supreme Court have a net worth of at least $1.5million, according to the Center for Responsive Politics. In the end, Kavanaugh should be evaluated on his merits, and hopefully that will ultimately be the case. Many conservatives initially assumed that since Donald Trump nominated him and since liberals are going crazy trying to stop him that he must be a good choice. 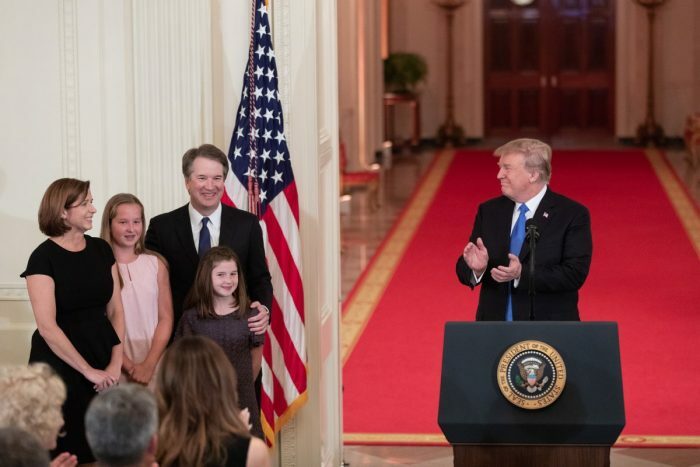 AFA has opposed the nomination of Brett Kavanaugh to the U.S Supreme Court for some very valid reasons. We are deeply concerned about how he might ultimately rule on issues related to abortion and religious liberty. For these reasons, we consider this nomination to represent a four-star appointment when it could have been five-star. However, after hearing the concerns of some of our supporters, and after hearing the passionate defense of Judge Kavanaugh by many we consider to be friends in the pro-life movement, we are willing to let this process play out. We eagerly await the confirmation hearings when we hope to get clarification from Judge Kavanaugh on aspects related to our concerns. At this time, we have no plans to fight President Trump on this nomination. He has appointed a lot of good federal judges already and we look forward to many more. We hope that our concerns prove to be unfounded. And I certainly expressed my own reservations in a previous article entitled “Liberals Are Freaking Out About The Nomination Of Brett Kavanaugh, But It Is Conservatives That Should Be Concerned”. To me, the most concerning thing is Kavanaugh’s stance on abortion. Even though he has had a very long legal career, and even though he has been intimately involved in Republican politics for decades, he has never publicly taken a stand against Roe v. Wade. If he had, the left would be plastering it all over the Internet by now. But they haven’t done that, have they? Kavanaugh has referred to Roe v. Wade as a precedent “we must follow”, and I find that language to be extremely alarming. To me, there is absolutely no indication that Kavanaugh is inclined to overturn Roe v. Wade, but there are lots of indications that he would be a lot like his mentor Anthony Kennedy. When Ronald Reagan nominated Kennedy in 1987, we were assured that he would be a good conservative that would stand up for conservative principles. Instead, he turned out to be the swing vote that kept Roe v. Wade in place and he was the one that wrote the opinion in the case that legalized gay marriage in the United States. When it comes to Supreme Court nominations, we have been fooled before, and it is absolutely imperative that we don’t get fooled again. Brett Kavanaugh needs to tell us exactly where he stands on Roe v. Wade, and if he doesn’t give us a solid answer he does not deserve to be confirmed.